Atlanta, GA – The 2019 season is expected to be the most competitive season to date amongst the Amateur to Professional Developmental Football League (APDFL). The season will kick off with approximately 35 teams from across the southeast and will showcase the return of a previous APDFL summer season National Champion. The Georgia Ravens (Atlanta Georgia) took to the field in the summer of 2014 and went unscathed as they played their way to the top of the national rankings. In 2019 they make their way back to the playing field however, this time they do so with the same goal but with a different mission. 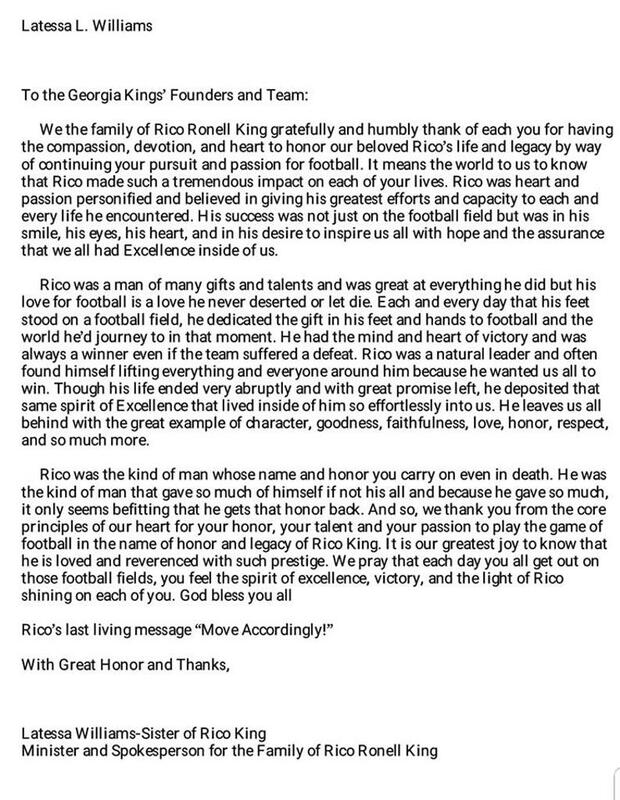 The Georgia Kings will be dedicating the 2019 season to a fallen comrade and one of the APDFL’s most outstanding single season athletes, Rico King. 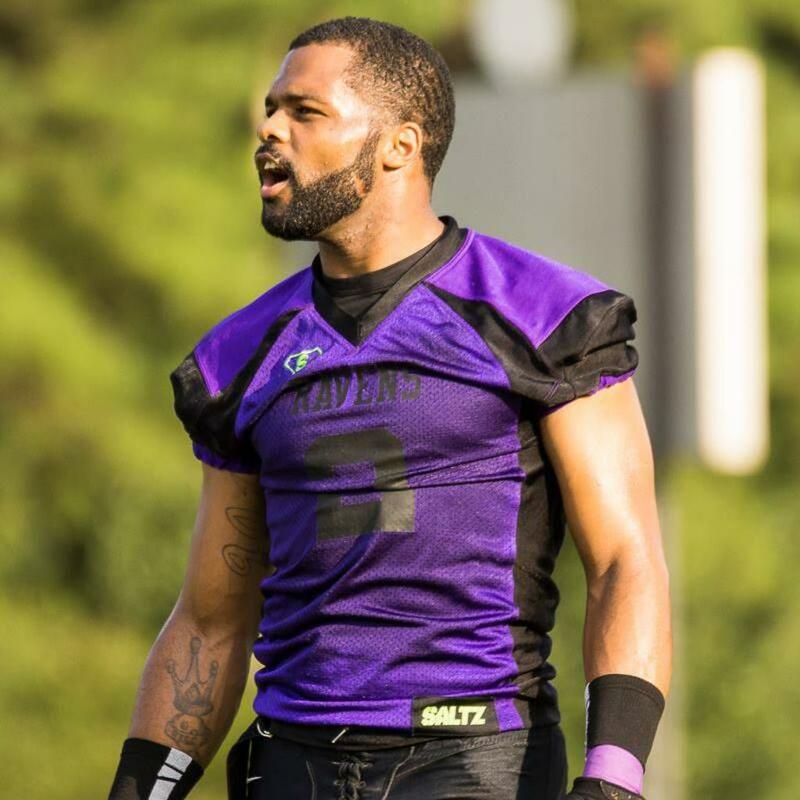 King was a true “athlete” for the Ravens during their championship season having played every skilled position on the field and excelled at each one. As a wideout, he entertained the fans with outstanding catches and at quarterback, dazzled his opponents with extended plays. 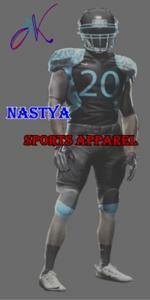 He was a key factor in the Ravens bringing home the National Championship. On July 19, 2018, Mr. King was called home to sit alongside the master. He is survived by his beloved mother, Tonya Williamson, his dad Larry King and leaves to forever cherish his memories 2 grandmothers: Mae Frances King and Queen Fields. 5 sisters: Latessa Williams-Jackson (Johnnie), Kristan King, Tracey King-Watts (Windel), Eureka Glover, and Felecia King. 2 Brothers: Timothy Mathews Jr., and Larry King Jr. A great host of Aunts, uncles, nieces, nephews, cousins, friends and his life partner Cherelle Mack. The following is a letter from the King family.